Have you got a lovely leather jacket stored in the back of your wardrobe, damaged from a day out in the rain? Or perhaps it has a stain which you’re not sure how best to go about removing. 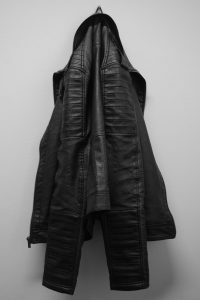 Unlike your standard items of clothing, caring for your leather garments can be slightly more difficult and special care must be taken to ensure that your garment remains in top condition and is not damaged long term by water, spills and/or stains. Cleaning is an important part of taking care of your leather goods, especially if you want them to stay looking their best for years to come. Leather garments normally come with a premium cost meaning no one wants to have to run out to the shops and buy a new leather garment if items become damaged! The good news is you don’t have to, providing you know what to do if your leather garment becomes stained or is in need of cleaning. Keep your garment looking its best for years to come. Over time leather can start to look aged, however with proper care and treatment, your leather items can withstand the test of time ensuring minimal colour fading if your leather items are well maintained. Prevent permanent damage from stains. A small stain that you may not have thought anything of at the time can lead to big consequences for leather items. Leaving stains can cause them to set leading to permanent damage to the garment. Professional cleaning of your leather garments can help to remove stains and prevent any lasting damage. Prevent the need for expensive repairs. If leather items are not cleaned and treated in a timely manner extra costs may be incurred as the damage increases. Caring for your leather will decrease the need for expensive repairs. Sometimes it can be tricky at home to restore your leather after water damage, colour fading and stains. When this is the case it may be a good idea to seek the help of a professional leather cleaner. Butlerz provide a professional leather cleaning service thanks to our experienced staff members who are ideally equipped to deliver expert advice on the appropriate care and treatment of your leather goods. Our specialist leather cleaning service will ensure the highest standard of cleaning is applied to your leather garment to remove stains and help restore colour. We also provide restoration options if your leather item is already damaged. ea to help you save time and make things as easy as possible for you. ou can safely send your items to us and we can take care of the cleaning for you. 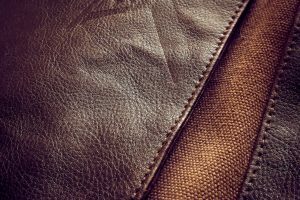 To find out more about our leather cleaning services as well as our national postal service please feel free to contact our team who will be happy to help you and answer any questions you may have about caring for your leather goods.